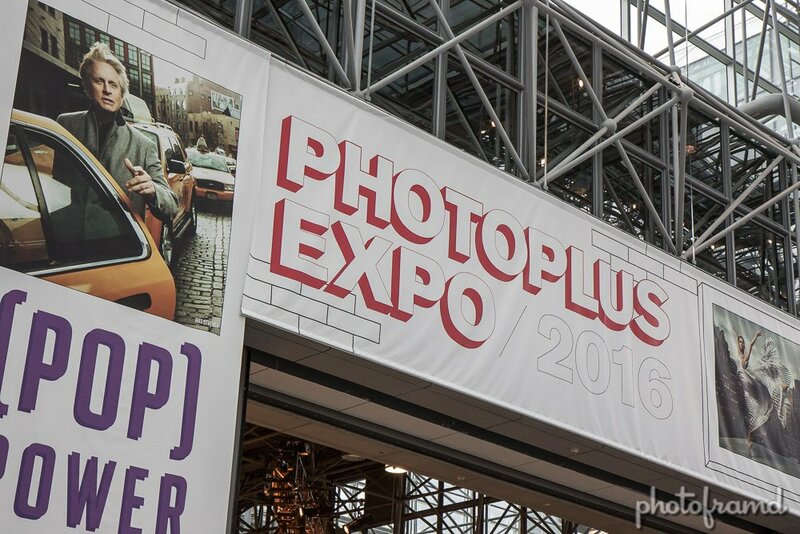 PhotoPlus Expo 2016 is the incredible shrinking show! Less overall floor-space at Jacob Javits Convention Center made the booths from Canon and Nikon seem even bigger. At least my favorite thing about Photoplus Expo remains – seeing innovative products from the small independent companies. I have walked past the Lumecube display in B&H for a few months. It shows a lite cube in a fishbowl. I didn’t get it. Then I saw it in-person at the show, and it’s really cool. 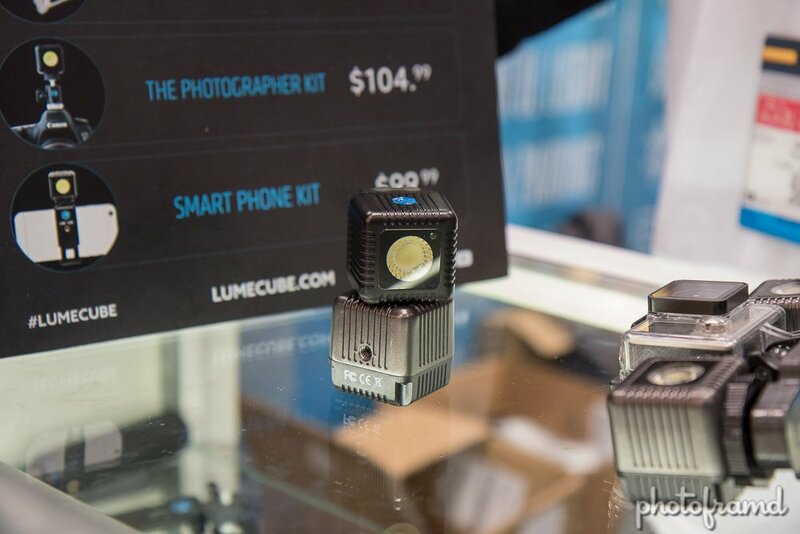 It’s a 1.5 inch cube but it emits up to 1500 lumens of continuous light for both still and video. It last for 1 to 2 hours depending of the intensity of the light. There is even an App for Android and iPhone to control and dim the cubes. They are even waterproof up to 100 feet and have a bunch of accessories. Need something just as small but can vary the color temperature? Try the Eye Light from Aladdin Lights. 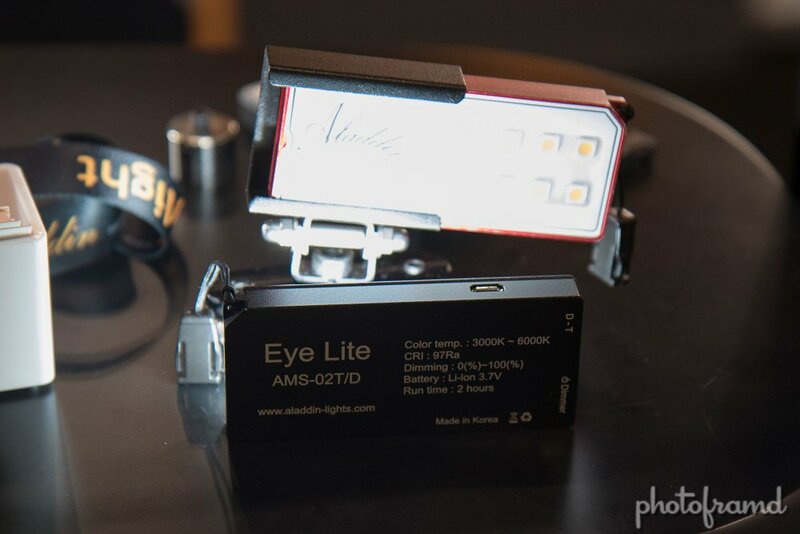 Incredibly lightweight with a battery of up to 2-hours, the Eye Lite is also softer than the Lumecube and suitable for stills and video. Keeping with the light theme, Pixelstick is an LED light rod that can be programmed to display an image mid-air. It’s been used in the opening credits of SNL, The Late Late Show with James Corden and others. You can see the guy in the red shirt holding it while it produces the flame image. As you can tell from the above image, it take some experimentation with exposure and shutter speed. Now this product is so simple that you just get it! 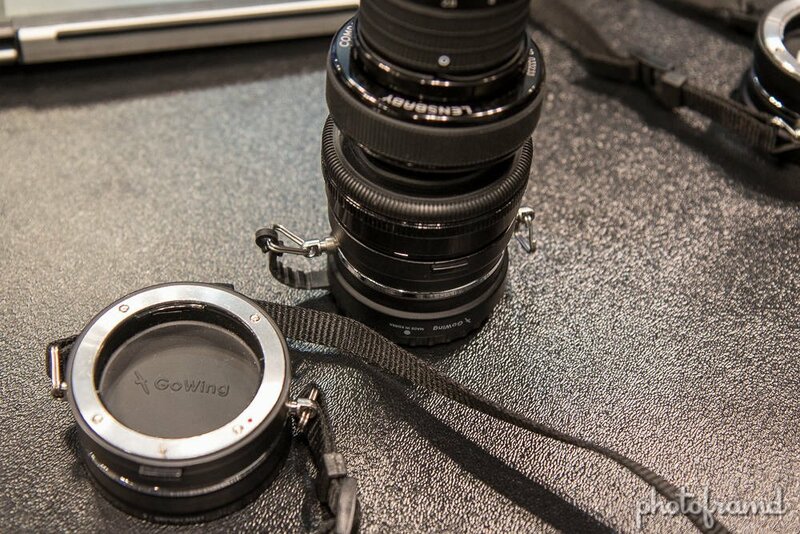 Lens Flipper by GoWing is a double sided lens mount with a built in lens cap. You wear it on a strap and attach one lens. What to swap lenses? Just attach the lens to the open side and remove the lens from the other. Simple! It’s available in mounts for Canon, Nikon, Fuji, Micro 4/3, and Sony A & E.
Swapping cameras on the move is never easy. 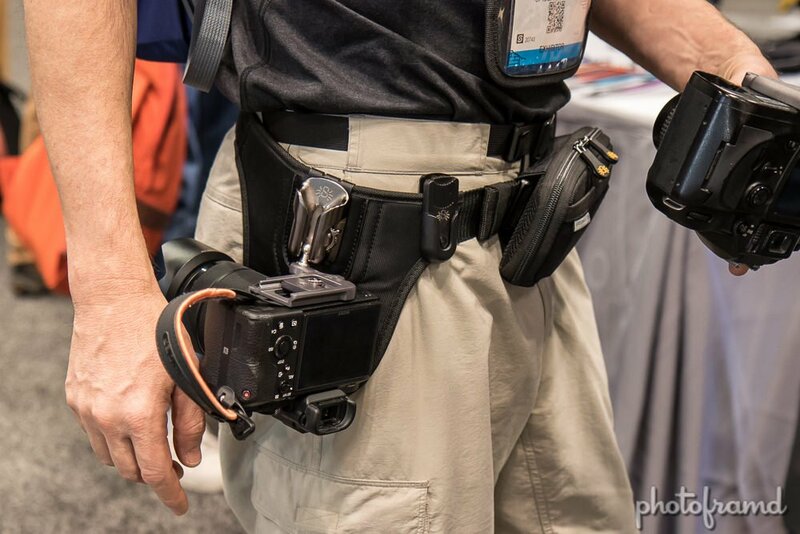 The Spider Pro Holster allows you to wear a camera at your waist. Add a second SP300 Plate on your second camera and its easy to swap on the go! This belt is solid. It can easily handle full-sized DSLRs with a 70-200mm lens. 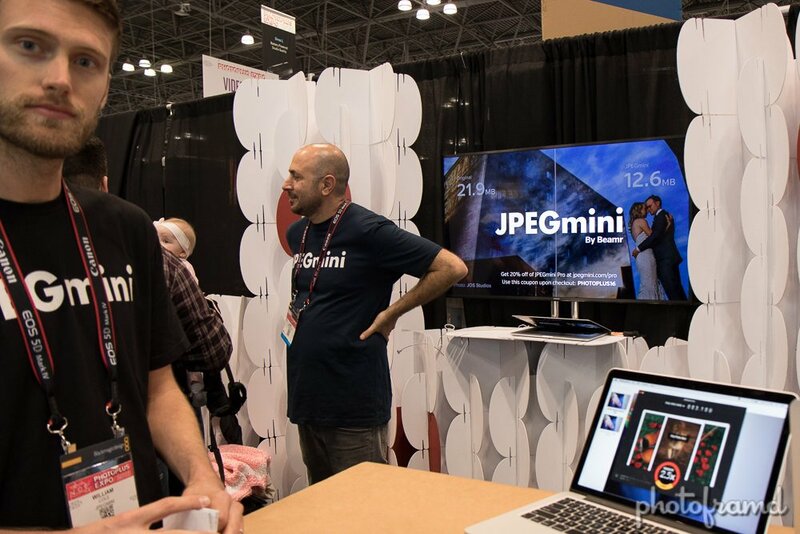 JPEGmini is an easy to use compression utility. No settings, just drag-and-drop. It is available for PC & Mac as a stand-alone batch program and as a plugin for Photoshop and Lightroom. It outputs to a standard JPG format and the images are indistinguishable from the original … just up to 80% smaller in file size. It’s biggest benefit is on large files. And now for the 360 cameras at Photoplus Expo 2016!